Recently I printed a couple of puzzles from Thingiverse to take to work and frustrate my colleagues. For some of them the puzzles were relatively easy. Others are still frustrated by them. Now that I’ve tested my coworkers it looks like some of them need me to ramp up the challenge a notch, so I’ve started designing a few puzzles of my own. The concept is simple. 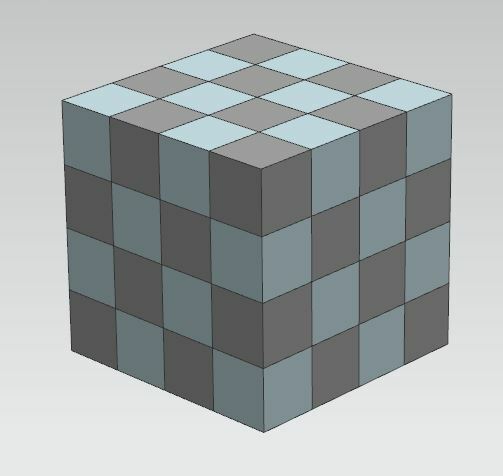 I start with a 4x4x4 array of unit cubes to total a cube of 64 square units in volume (one unit being 10mm in this case). Then I simply unite the cubes to form larger, more complex solids of connected unit cubes. Along the way I need to make sure that the solid shapes can be assembled together to form the larger cube. I also made a base to assist the challenger to build the puzzle. The lowest point is one vertex of the cube and it stands the final cuboid so an axis running through the opposing cuboid is vertical. After printing V1.1 I found that it would be easy for a future potential challenger to identify the solution or it’s starting point by looking at the completed puzzle done by the preceding challenger. I also did not like the way the chamfers developed after uniting the unit cubes. 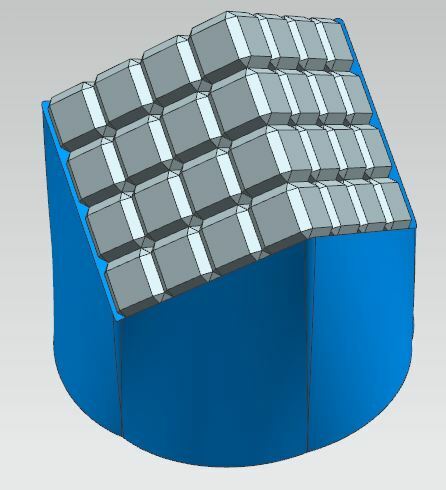 With that I chamfered all the unit cubes before uniting them for subsequent versions. 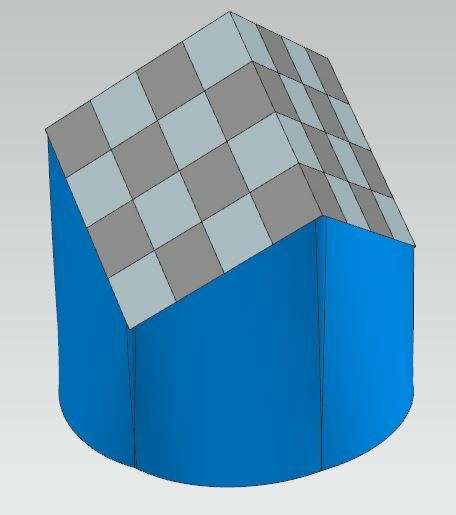 A V1.2 of this puzzle with a different set of shapes and solution will be released very soon after V1.1. 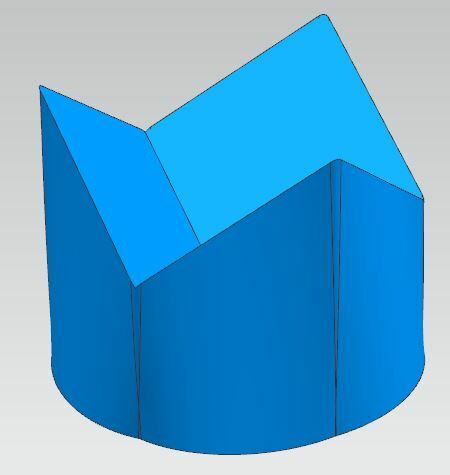 It’s on the printer as I write this so plan to test it tomorrow and upload the files early next week. 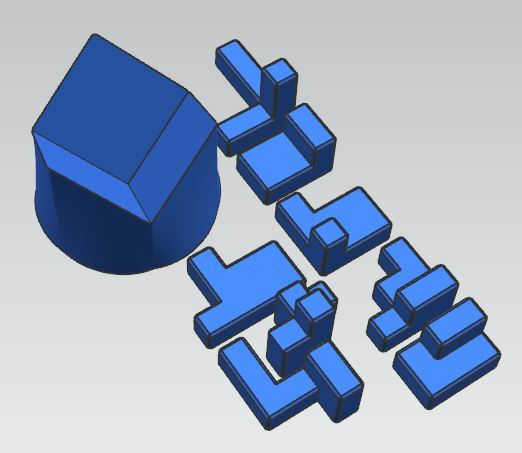 If you want to take up the challenge of this first puzzle you can get the files on Thingiverse. As for the solution, well I’ll release that in the coming weeks once my colleagues at work have had a chance to tear their hair out.